History from the Future 3- Roundabouts, 2008. 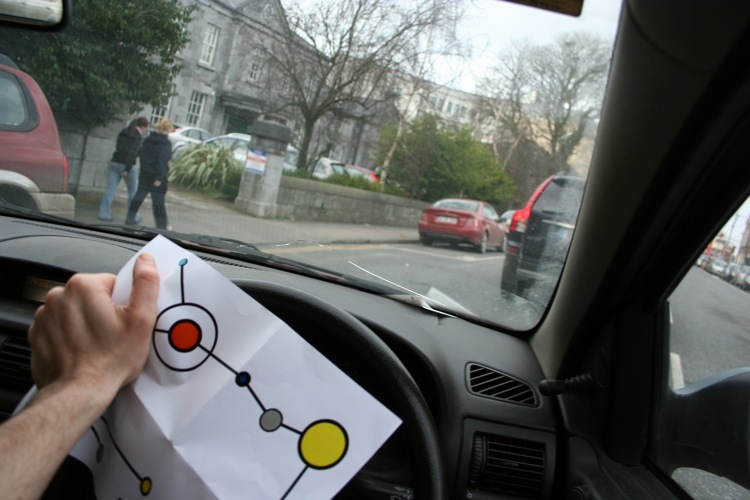 Interactive outdoor work for 'Excursions', Limerick City, Ireland. History from the Future- Part 3- Roundabouts took place at Limericks 2008 Excursions performance festival. 900 tour packs were distributed to the drivers of Limerick City. The weather proof packages were made up of a CD or cassette tape, depending on the vehicle, along with a map. 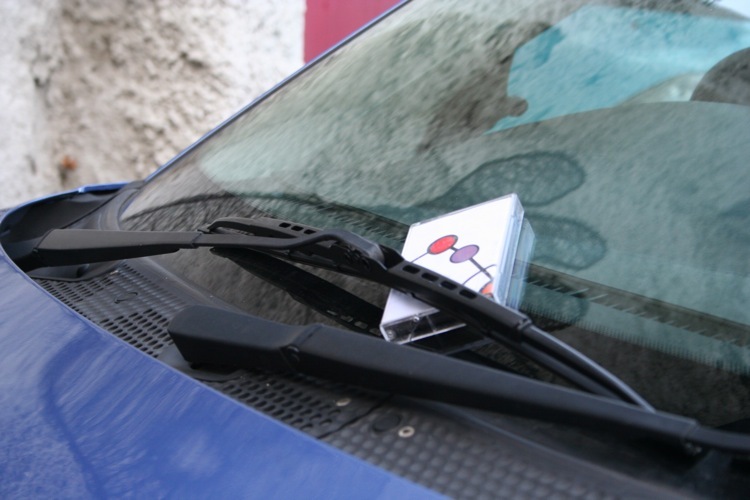 Busy car parks, streets and lock ups were targeted and audio packages were simply left under windscreen wipers. 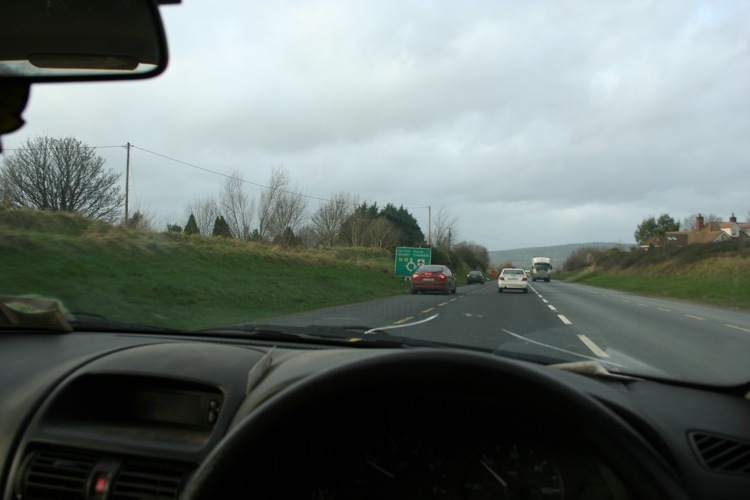 On playing the respective CD or cassette tape, drivers were given a brief introduction to a drive along audio tour of Limericks roundabouts. By stopping the audio recording they could choose to begin the tour at a time that suited them from a well known car park central to Limerick City. 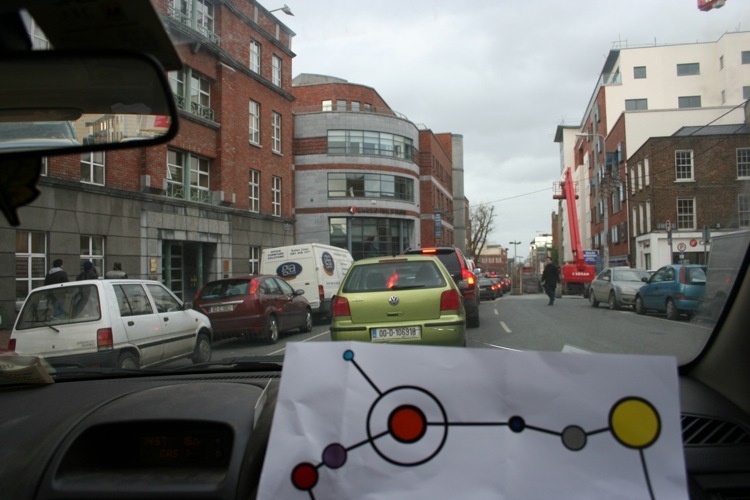 The 40 minute drive along tour visited 18 of Limerick roundabouts and was from a future perspective. It outlined the enigmatic relationship that the people of the early 21st century had with these sites. Their spiritual significance, their detailed aerial layout and the violent confrontations that took place when roundabouts were contested, wwere covered. Tarmacadam theft, the anti clockwise movement and the communities that camped on and protected the roundabouts were detailed. Participants in the drive along tour were encouraged to pause on their route and engage in conversation with the communities camping on some of the roundabouts today.